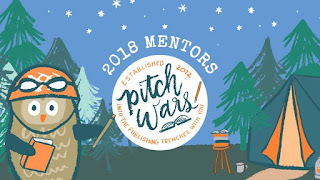 As a Pitch Wars mentor and previous mentee, I thought it would help to share my query and the PitMad pitches that led to several offers (and ended with me signing with the amazing Janet Reid of New Leaf Literary). First, if you're interested in what my PW 2017 Agent Round pitch and first page looked like, click the image below. Second, to be completely honest...my query wasn't all that successful. It helped get me my mentor, but when I went into the query trenches, I got ZERO cold query requests. What can I say? Some books query well, others pitch well. Mine pitched well, which is why I linked to my Agent Round page and Twitter pitches below. If you're curious about my experience and stats, read my post about how I signed with my agent. Caveat: I only sent out like, 10 cold queries, which is NOTHING in the world of publishing. So make of that what you will. Dear [AGENT]: Imagine Veronica Mars as queer, Asian-American, and all grown up, and you’ve got Sunshine Salinas, geek girl extraordinaire. Obsessed with the cult favorite Samurai Surfer Squadron since she was a child, all Sunshine wants to do when she visits Chicago ComiKon is meet the show’s biggest star, Xavier Rhodes, and her childhood heroine, Cassandra Wu. Instead, she stumbles upon Xavier’s dead body, and Chicago PD seems determined to pin the murder on Cassandra. To right this wrong, Sunshine calls on her geek squad to help her investigate, but her not-so-subtle snooping soon has the police ready to cast Sunshine as Cassandra’s faithful sidekick and accomplice to murder. In an effort to clear their names—and maybe even get into Cassandra’s good graces/pants— Sunshine delves deep into the twisted world of ComiKon, chasing down cosplayers, comic book writers, and other D-list celebrities in her attempts to dig up the truth. Sunshine’s nosiness and Scooby Doo-esque shenanigans have gotten her in trouble with the police before, but this time her antics may cost more than her freedom. It may cost her life. Written as a standalone, but with series potential, Death Comes to ComiKon is a 71,000 word mystery that would appeal to fans of Janet Evanovich’s Stephanie Plum series and Max Wirestone’s Dahlia Moss series. The story draws on my experiences attending anime, comic book, and pop culture conventions for over ten years, and being a female geek in a male-dominated sphere my entire life. This manuscript has won me the 2016 Helen McCloy/Mystery Writers of America Scholarship and the 2017 William F. Deeck – Malice Domestic Grant for Unpublished Writers. It was also recently selected for the 2017 Pitch Wars competition. I’m part of several writing organizations, including the Mystery Writers of America, Sisters in Crime, and the Chicago Writers Association. As per your guidelines, I’ve included [INSERT AMOUNT OF PAGES]. I look forward to hearing from you soon. I underlined the first sentence in the bio section because, knowing what I do now, I'd remove that line. It's unnecessary and clutters up my bio. Hope these examples help even a little bit. 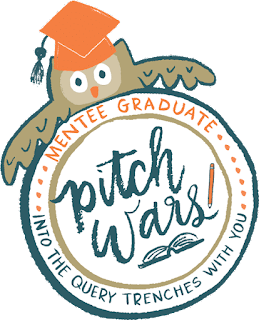 For more Pitch Wars-related posts, click the image below. Good luck out there in the trenches! Thanks for sharing. These were very helpful, especially the pitches, which I don't have any experience in writing. Yes! The Janet Evanovich comp--there it is. Ha ha! Also interesting to note that my critique partner's agent is Janet Reid, Chicago is part of my setting, and I reference Scooby Doo in my ms.
Visit crazy bulk website and get fitness tips. As marketing has become a key to success. You can use text from voip number to improve your marketing process and to engage with clients swiftly. This will help you by sending alerts, confirmations, notifications, reminders, and SMS marketing campaigns. Video Games, Belly Dancing, and Fire-Spinning, Oh My!